It is fitting in many ways, not least because the history or mythology of mermaids traces back to the Phoenicians and ancient Syrians and their goddess Atargatis, the earliest mermaid legend we know of. She was sculpted by Amaryllis, and was placed here as part of the Amaryllis Art for Charity project, which aims to place about 100 of these statues in prominent and beautiful locations near water, with the goal of raising funds for local charities and promoting the message of this sculpture. The project was created by Thomas Noor, using the Ama statue created by Amaryllis. 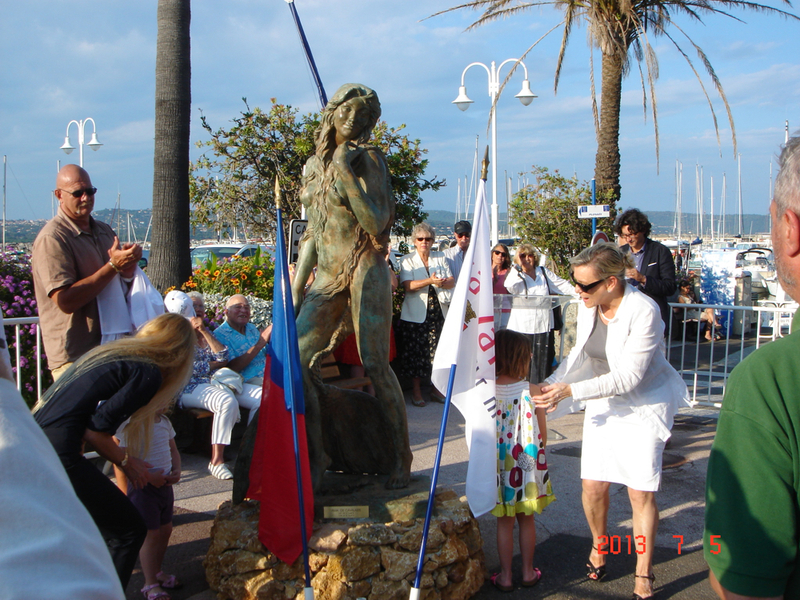 Ama Cavalaire mermaid sculpture. Photo © by Amaryllis. If you know of any other great photos of this mermaid sculpture, let us know where to find them. If you have photos that are yours which we may use, please upload them to us. We will of course give you credit for the photo.